Frogadier. 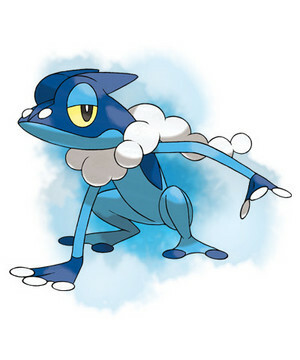 Frogadier evolves from Froakie, and when it does, its jumping skill improves. During battle, Frogadier confounds its opponents par leaping about the ceiling ou into trees.. Wallpaper and background images in the Pokémon club tagged: frogadier pokemon x and y pokémon.